Acids & Bases are crucial to almost all the chemistry that we know - whether industrially relevant or of academic interest. Many reactions require an acidic or a basic medium to reach the desired products. So, it's essential to know what an acid or base is. Polar HCl is acting as a proton donor, and the molecule of water, due to the two lone pairs of electrons in the oxygen, is acting as proton acceptor. 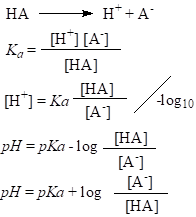 When the base accepts proton, the product is called conjugate acid of the primary base, and the product of acid that lost proton is called conjugate base of the primary acid. There are compounds that can behave as an acid and a base depending on the circumstances, ex. water (amphoteric species). Kw is known as ionic product of water. Its value at temperature of 25ºC and 0 ionic strength is constant and equal to 1.0 x 10-14 mol2dm-6. Acidic solutions are those that contain more H+ than OH- ions. The opposite ones are basic. The most commonly used unit for measurement of acidity or alkalinity of solutions is pH. As a result, an increase of pH in one unit, corresponds to ten-fold decrease in c(H+), and opposite. Neutral solutions (pure water) have pH=7. Acidic solutions have pH<7, and basic solutions pH>7. Since the temperature can also affect the equilibrium, at higher temperatures pH of pure water can be less than 7. Acids (and bases) can be differed by the ability to give (accept protons). There are strong acids that dissociate completely in water, and weak acids that dissociate incompletely. Since strong acids dissociate completely in water, c(H+) is the same as the concentration of the acid, and pH is calculated using c(acid). (H+ ions that come from autoionization of water can be ignored). Dissociation of weak acids in water is incomplete and it is represented as an equilibrium. 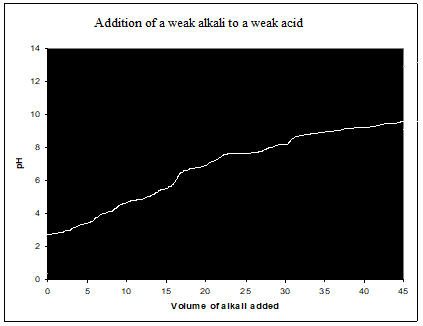 For weak acids, pH doesn’t increase for one unit, if the acid is diluted ten-fold. In other words, the amount of water affects the dissociation of weak acids. The acidity of a particular solution depends on the concentration of the solution (dilute or concentrated solutions), but also on the strength of the acid (weak or strong). When solutions are very dilute, c(H+) due to autoionization of water is significant and it can’t be ignored. A buffer solution is a mixture of a weak acid and its conjugate base, or vice versa, and it is used to resist changes in pH when a small amount of an acid or a base is added. Species that can behave as weak acids and bases at the same time can also be used as buffers, for example aminoacids. Buffer solutions can be effective in the range of pKa±1 because outside this range c(acid or base) is too small to resist changes in pH. Buffers are most effective when c(acid)=c(base), then pH=pKa. There are many applications of buffers. They play vital role in regulating blood’s pH (cabronate and bicarbonate, phosphate, proteins, aminoacids). Titration is a method used to determine the unknown concentration of an analyte, based on the reaction of neutralisation (reaction between acid and base). It requires usage of titrant (standard solution with known concentration and volume in a burette) and analyte (titrand) with known volume and unknown concentration in an erlenmayer flasc. Titration occurs until the reaction reaches neutralization and the equivalence point is determinated with usage of indicator (weak bases or acids that change treir colour when accept or donate protons). The pH range of the colour change of the indicator must correspond with the pH range of the equivalence point. 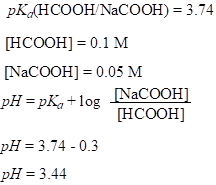 The volume of reacted titrant is measured and used to determine the unknown concentration. 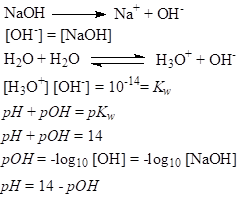 In the equivalence point, pH=7, and after the equivalence point, pH is calculated by the excess of OH- ions. Titration curve is a plot of pH versus the volume of added titrant.